Figures released to RTÉ News reveal that the US military would have been willing to withdraw from its use of Shannon Airport following a series of attacks on aircraft there - but the Irish Government did not want them to do so. Speaking in 2007, General John W Handy had said that they were told the Irish Government was afraid that if they withdrew from Shannon following the attacks, it would send out a signal that the protesters had won and the Irish State did not want that. However, he said that if the Government had asked them to quit, they would have. 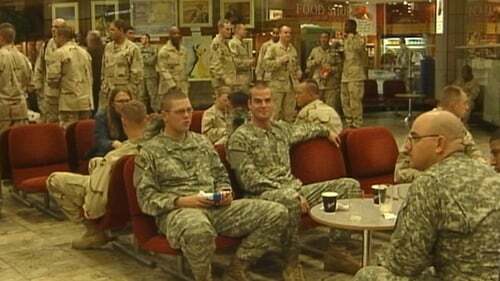 The US Military have revealed that over two million US military personnel have flown through Shannon Airport since 2001. 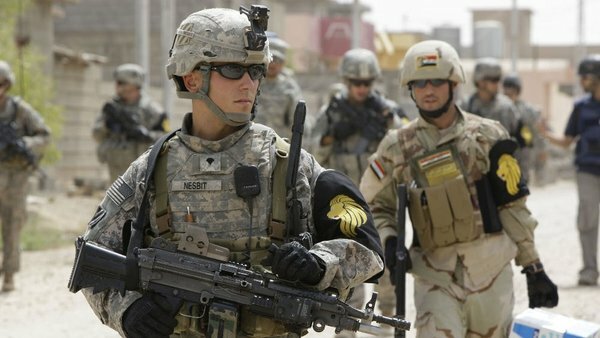 The figures released suggest that the number of flights and personnel travelling through Shannon more than doubled in 2003 when America began its invasion of Iraq. 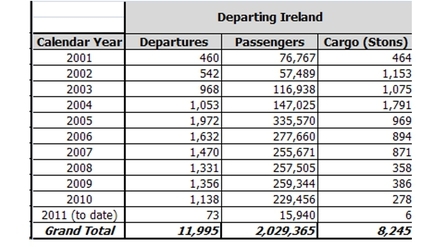 2005 was the busiest year when nearly 2,000 aircraft carrying 336,000 personnel flew through Shannon. Last year the number of flights was 1,144, carrying nearly 230,000 men and women in the armed services. 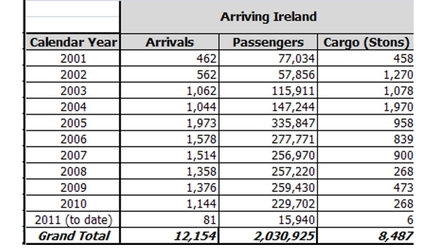 The figures for January of this year show that 81 flights with nearly 16,000 personnel flew through Shannon. In total there have been 12,154 flights through Shannon carrying 2,030,925 passengers and a total of 8,487 tonnes of cargo. The figures were released following a Freedom of Information request to the US Department of Defence. Meanwhile, Joe Costello, TD, has said that it is unacceptable that the previous government continued to make Shannon Airport available for the transport of soldiers and equipment to military zones.